China’s CPE prices fluctuated upwards in 2018. Although the annual average price didn’t see obvious increase, the lower cost enlarged the profits at producers. The operating rate of CPE industry inched up. The capacity of CPE kept rising in 2018 with the units at Gansu Jinchuan Hengxin Polymer Technology, Shandong Rike Chemical, etc. being put into production. Influenced by the environmental protection supervision, some medium and small CPE units were shut down periodically, yet the pace of capacity elimination has slowed. Benefiting from the sluggish liquid chlorine market, the profits at CPE producers were favorable. Large-scale enterprises still have advantages in controlling the liquid chlorine prices by different means of transport. 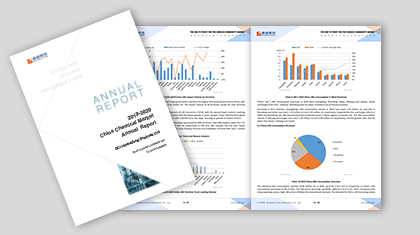 2018-2019 China CPE Market Annual Report interprets the overall operation of CPE industry based on data such as supply and demand, export, price, profit, etc., and forecast the market trend in 2019 combining with main price drivers. The focus of the market is whether Weifang Yaxing Chemical’s 170kt/a CPE device will start the relocation process. If the relocation process starts, whether it will has a huge impact on the market supply pattern in 2019? Will the liquid chlorine market remains sluggish in 2019? Will the advantages of large-scale enterprises continue? This report will show you the answer. 1. Presenting the capacity, output and operating rate of China’s CPE producers in past 5 years. 2. Helping potential entrants seize opportunities and avoid risks by analyzing the advantages of the large-scale enterprises. 3. Analyzing the influence of environmental protection supervision on CPE industry. 4. Analyzing price drivers of CPE from multiple angles. Evaluating the value chain of CPE objectively.